Combining Iron Chef with The Simpsons allowed me to use a number of the celebrity figures from the World of Springfield line as a judges. Peggy Hill from King of the Hill has a cameo in this one, as well. 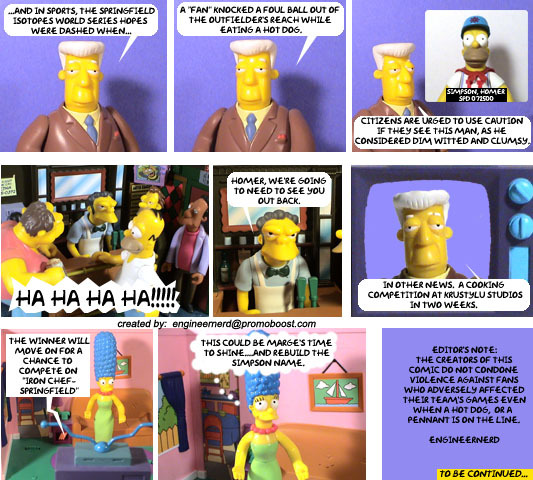 Muppet Comic "The Noble Prize"